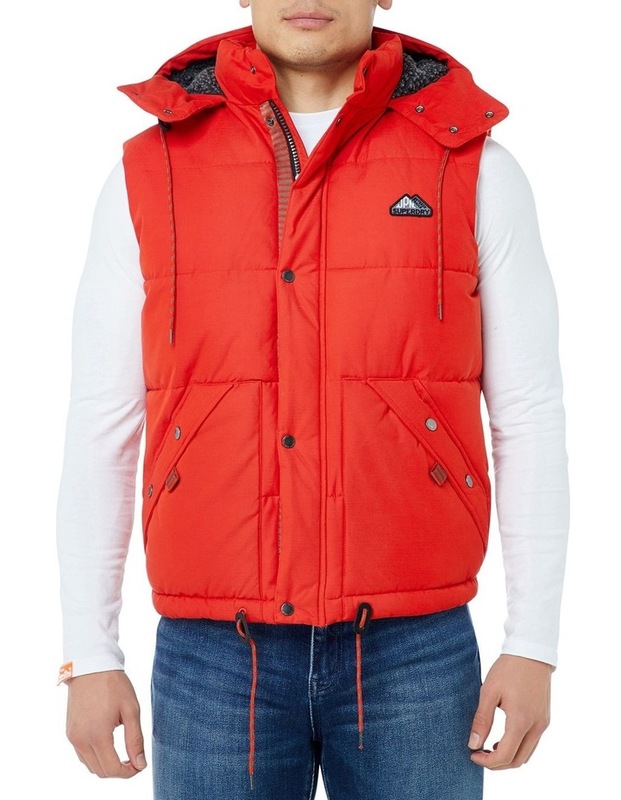 Superdry mens Academy gilet. 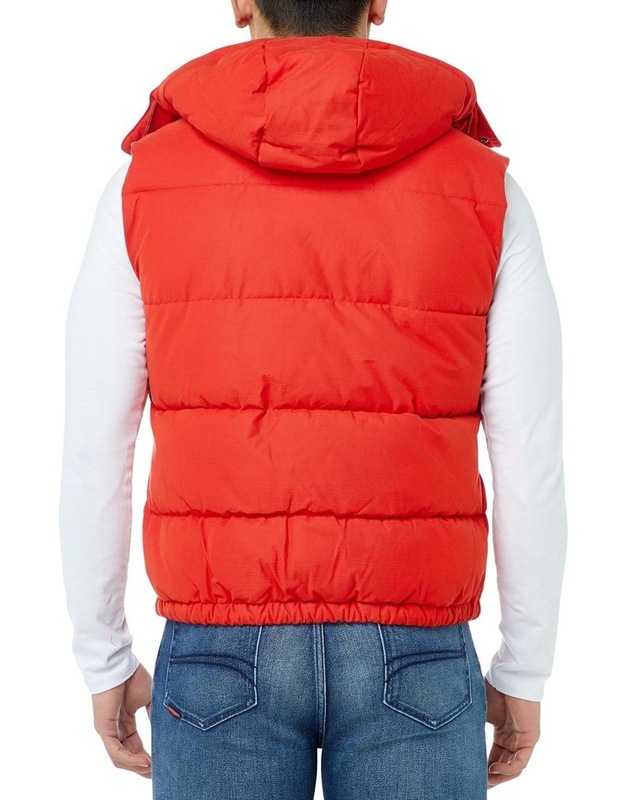 The perfect item for layering, this hooded gilet features fleece lining, popper and zip fastening and a draw cord adjustable hood and hem, providing optimum comfort. The Academy gilet also has with two large front pockets with popper fastening and one internal pocket, ideal for storing your phone. 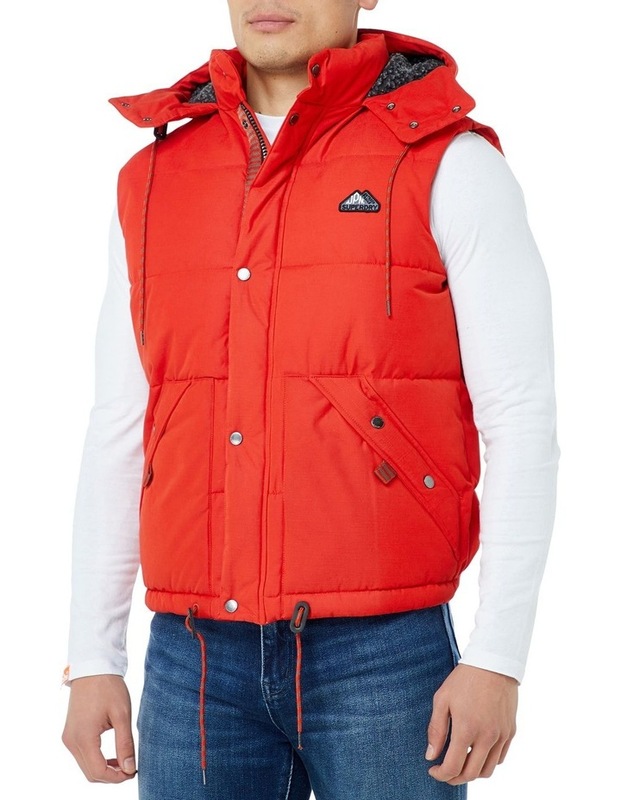 This gilet is completed with a Superdry logo badge on the chest.